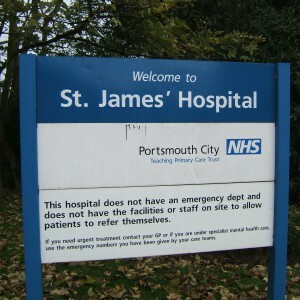 The Borough of Portsmouth experienced considerable prosperity and expansion during the early to mid Victorian era, consequently resulting in the need to review accommodation for people of unsound mind. 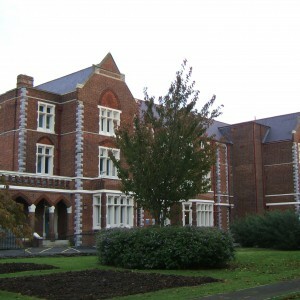 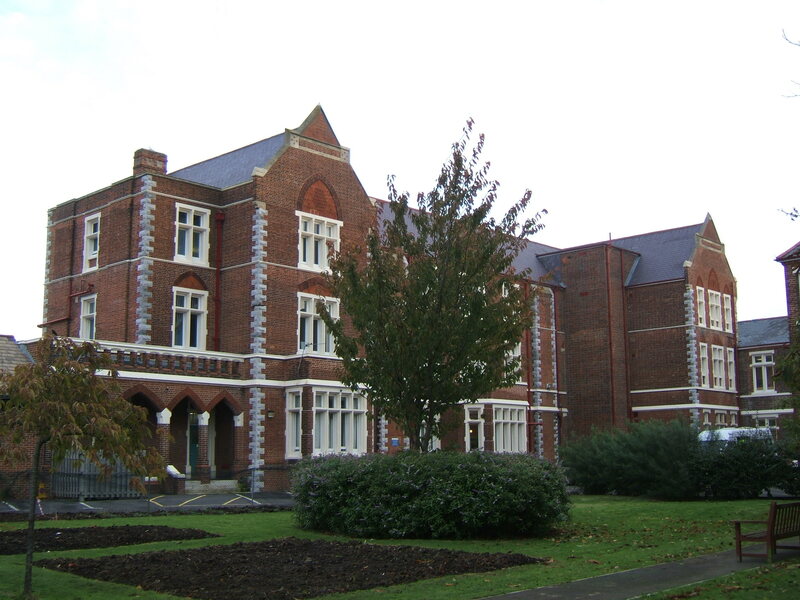 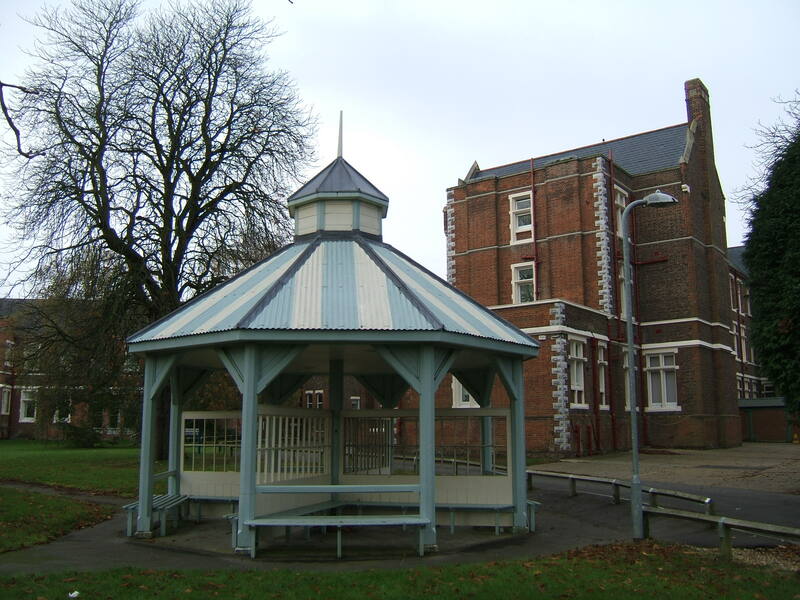 Historically, Portsmouth had relied on the availability of space at the County Asylum, Knowle, which by the late 1860’s was becoming severely overcrowded and continued to do so despite expansion, well into the next century. 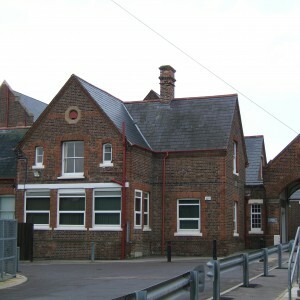 The obligation fell upon Portsmouth, as a municipal borough, to provide some means of institutional accommodation for lunatics and given the capacity required, it became preferable to construct its own. 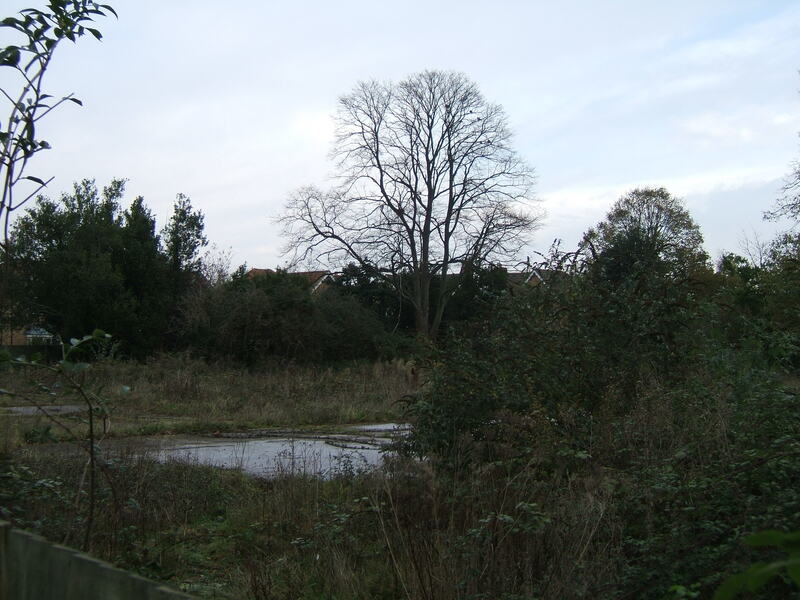 From 1870 proposals were put forward and by 1875 a site had been obtained on flat, undeveloped farmland to the west of Milton. 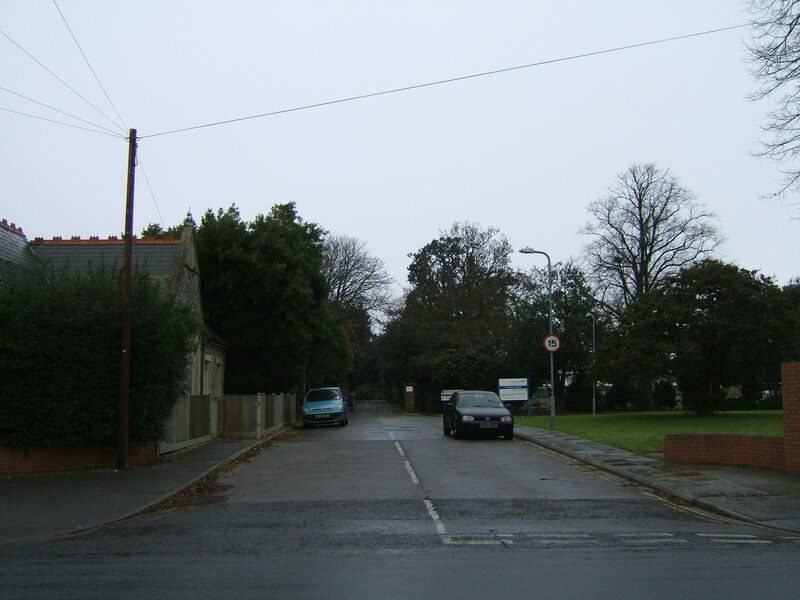 Access was provided via Milton Lane, which was soon to become Asylum Road, and later Locksway Road. 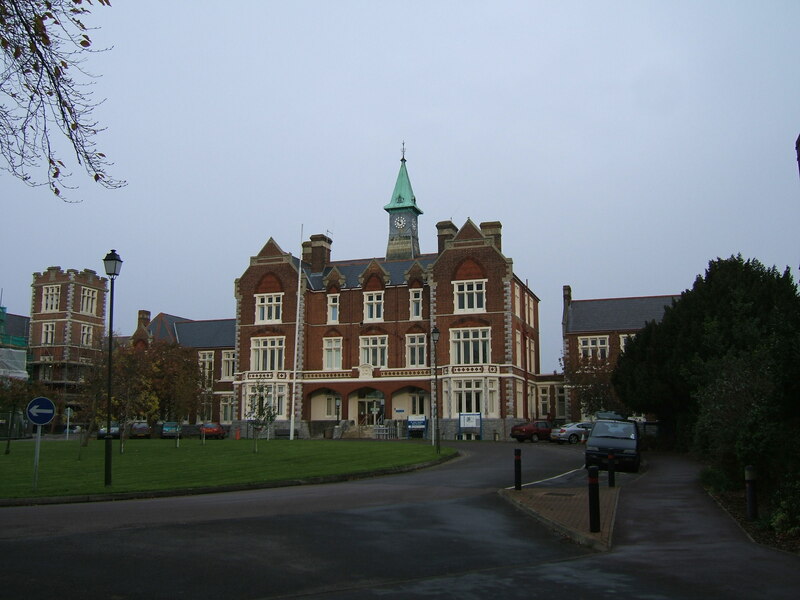 A local architect was chosen, namely George Rake, who was already responsible for other civic and commercial buildings within the town although not experienced in Asylum design in particular. 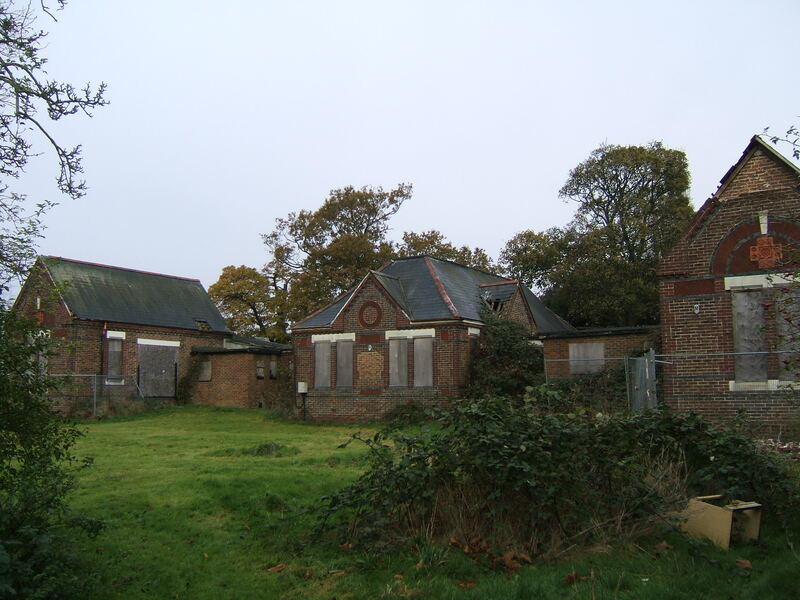 The plan developed appears based on the pavilion plan, and in particular draws upon the layout of the Metropolitan Asylums Board’s Imbecile Asylums at Caterham and Leavesden, albeit smaller, with three accommodation blocks flanking central administrative and service areas. 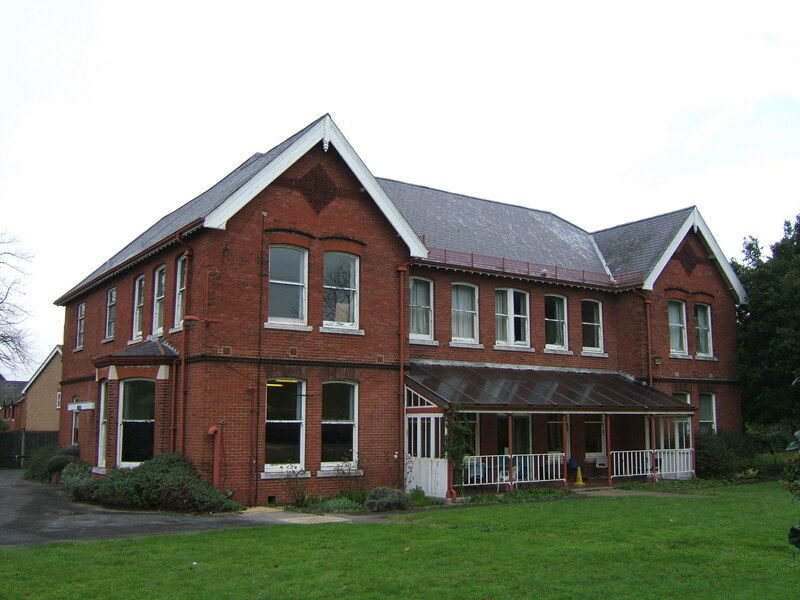 Unlike those institutions, the new asylum was to provide for all classes of patient, not just chronic or imbecile and the blocks were therefore designed individually to make this possible. 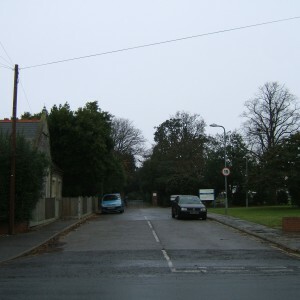 From the main entrance to the south, guarded by two single storey lodge cottages, the main drive forked, separating the delivery route to functional areas from official access. 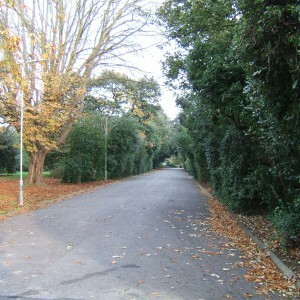 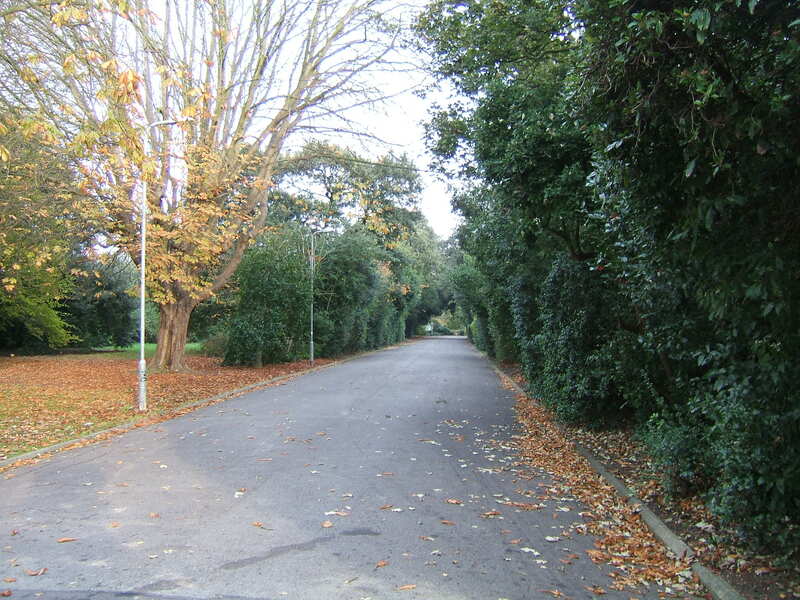 The latter driveway approached the administration block at the centre of the south front of the asylum. 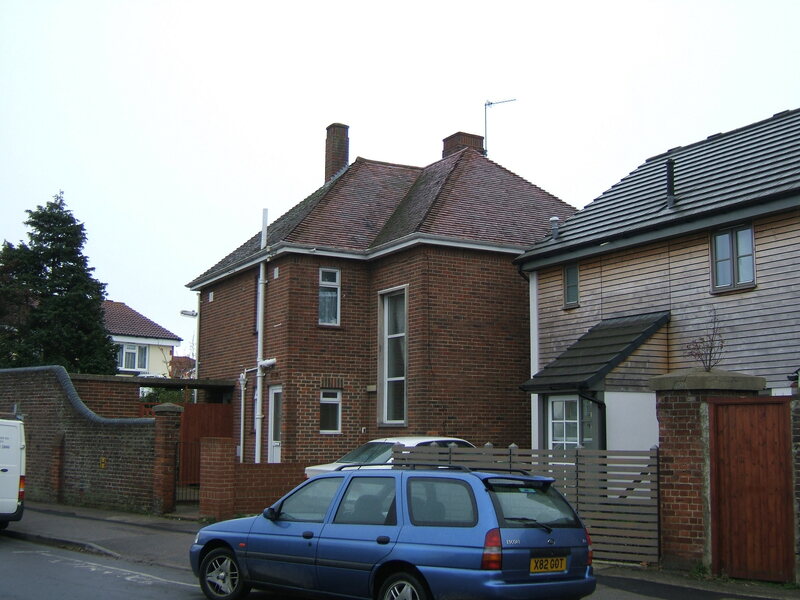 Projecting from either side, two storey villa-like blocks existed, forming a courtyard round the entrance area. 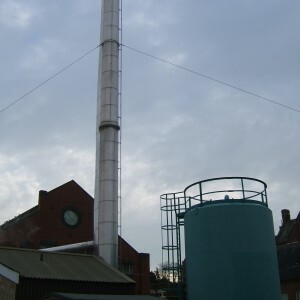 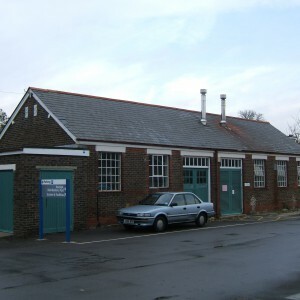 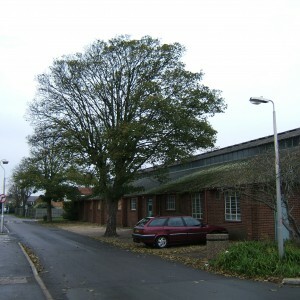 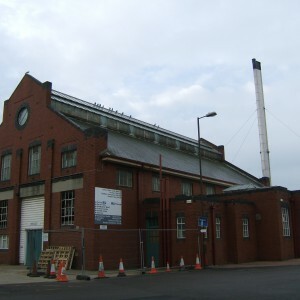 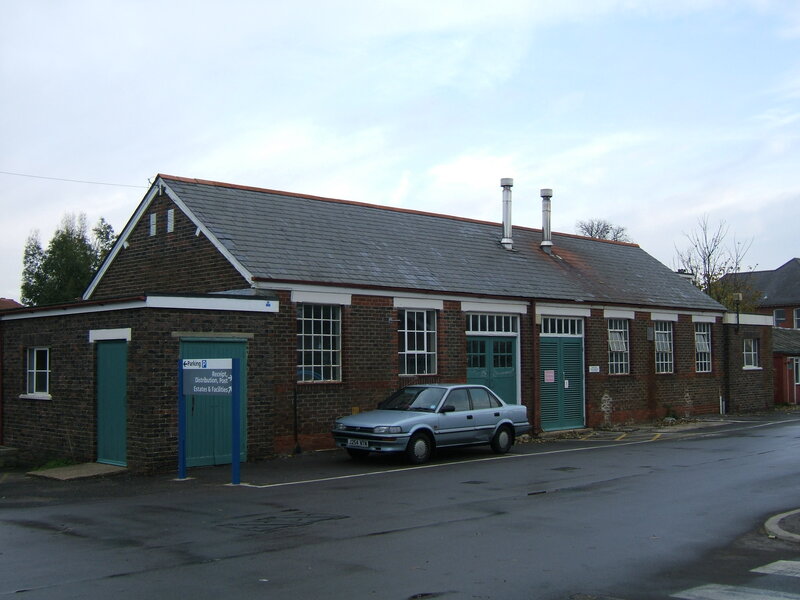 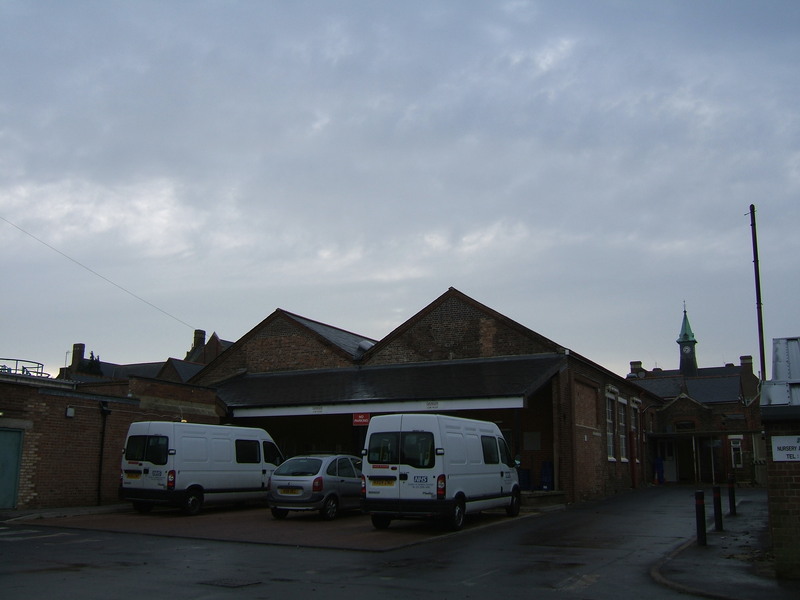 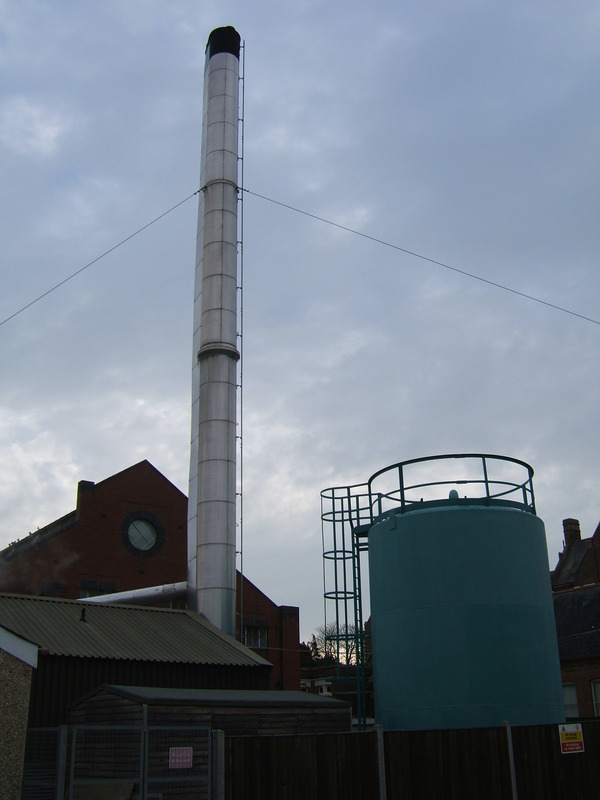 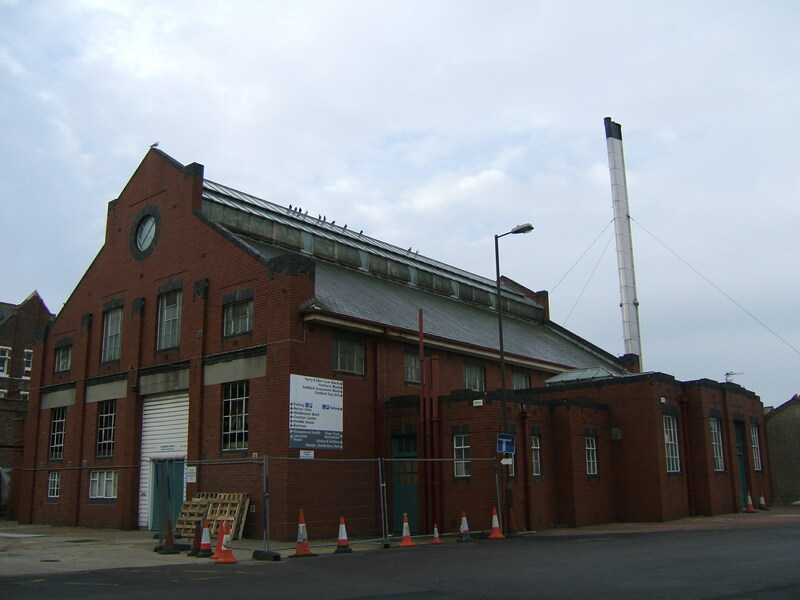 Behind these stood further two storey blocks, with three storey chronic wing at the rear allowing convenient access to work areas such as the laundry, boiler house and workshops. 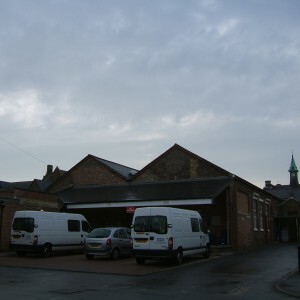 Central stores, a large kitchen and grand hall and dining area also occupied central positions. 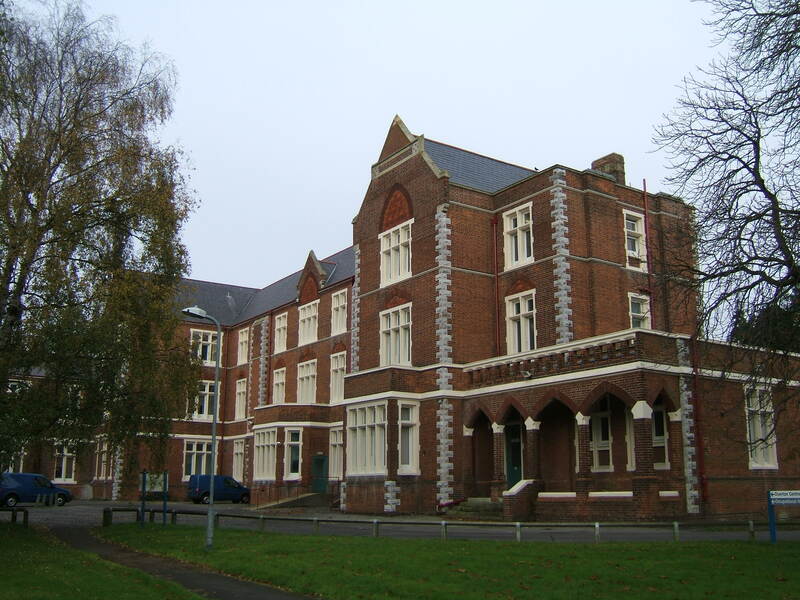 The entire building was of red brick, with blue brick detailing, brick gabling, battlemented parapets, slate roofing and with concrete window mullions surrounding wooden sashes. 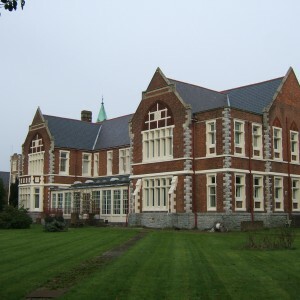 Overall, the effect was of a Tudor style, but with medieval and gothic influences. 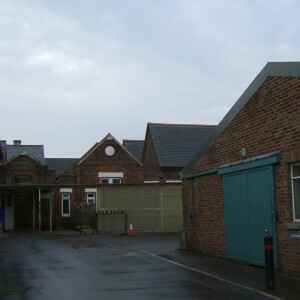 To the north west of the main building, close to the boundary of the site stood the asylum farm and provided a further source of male inmates. 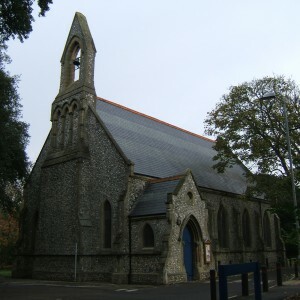 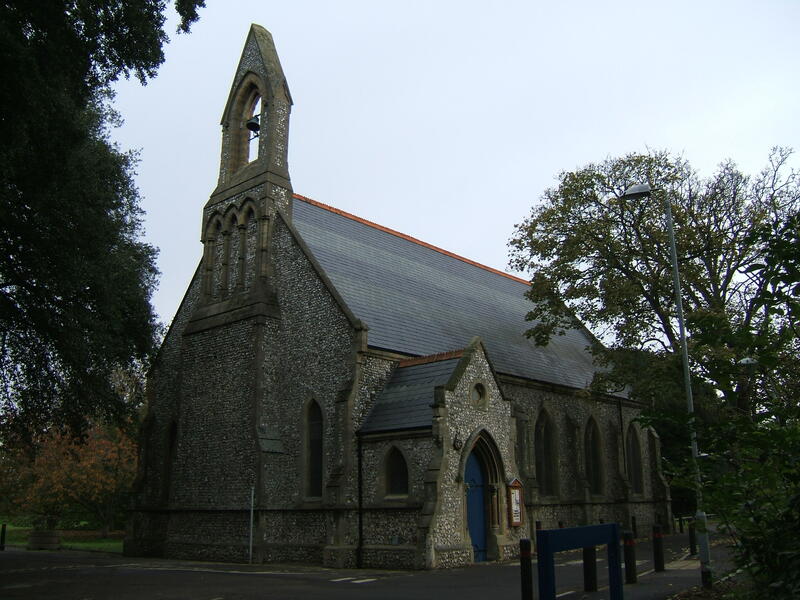 Elsewhere within the grounds, a chapel was constructed and completed in 1880 as the final phase of the initial development. 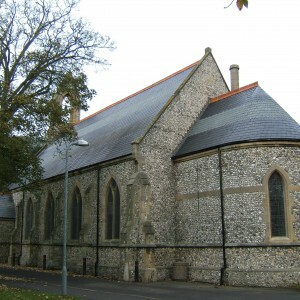 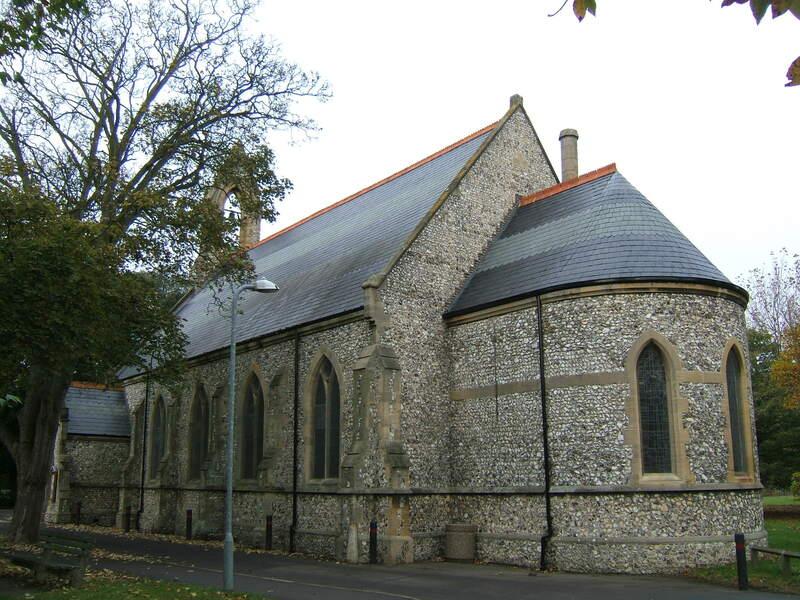 Unlike the main building, construction of the chapel was of stone – this together with its detached location was at this time perceived as preferable for inmates in order to give some semblance of ‘normal’ life. 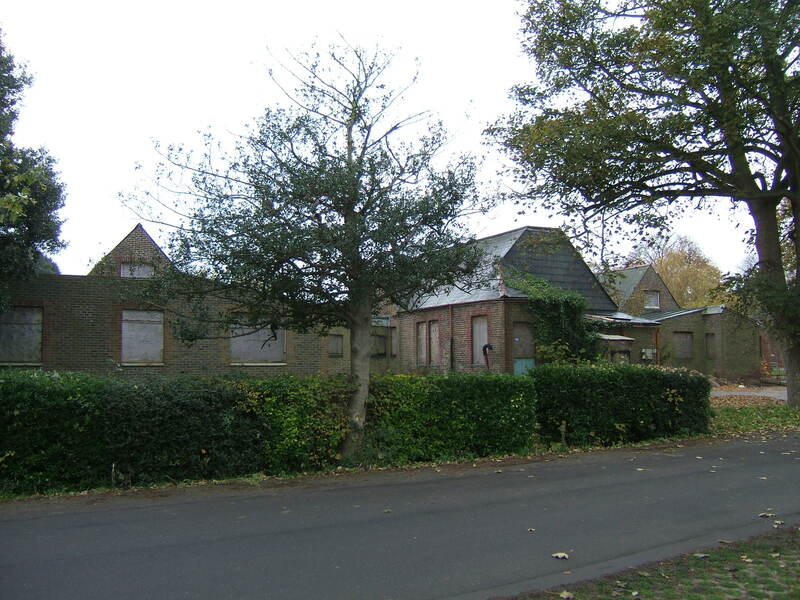 The first expansion to the site took place between 1884 and 1889 when it was found necessary to isolate patients with infectious diseases and for this purpose a single storey complex to the north of the chapel known as the sanatorium was built. 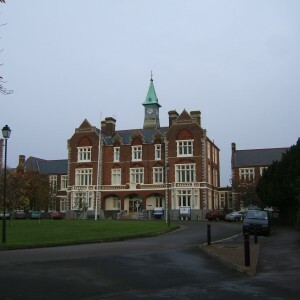 This was followed in 1895 with a phase of expansion to the middle wards of the main building, which was completed in 1898. 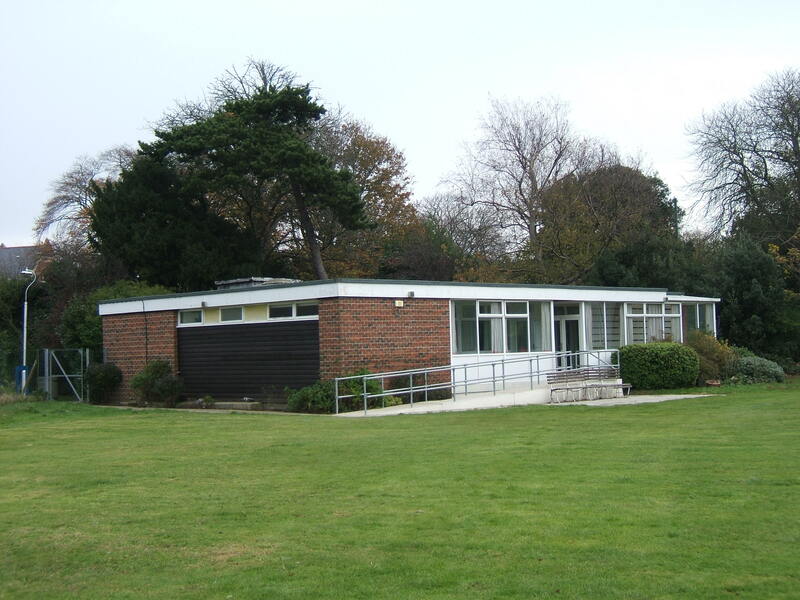 This comprised of additions to the ends of the existing wards and aside from additional capacity enabled areas to be reconfigured in order for light to enter areas in daytime use, which had previously been blocked by positioning of the frontal villa blocks. 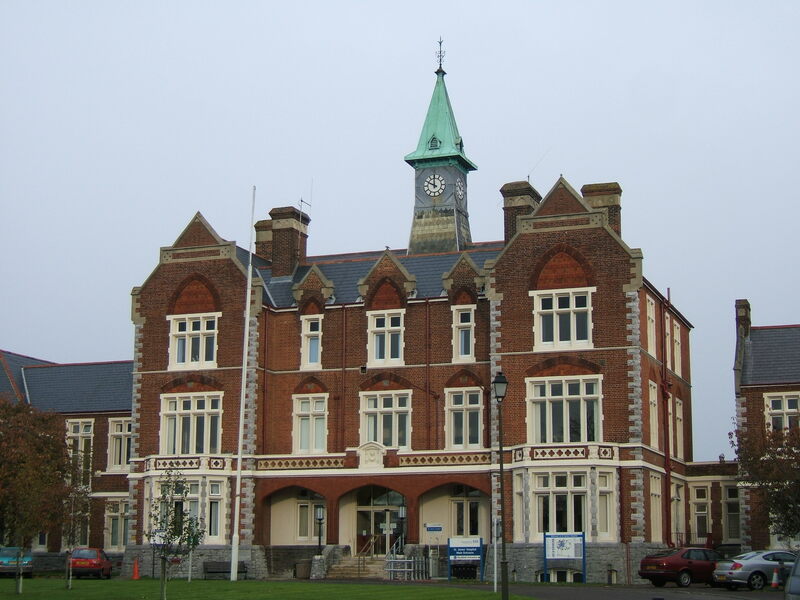 The Local Government Act of 1888 had the effect of altering the status of Portsmouth’s civic authority and from 1889 it became a County Borough, giving it equivalent administrative status to that the County Council. 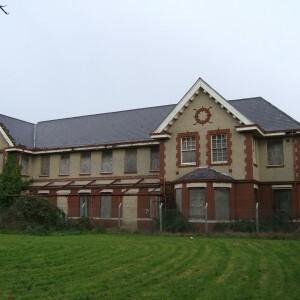 From the turn of the century, the asylum entered a period of minimal development and excess capacity enabled it to enter into contracts with other authorities to take their surplus inmates which provided a useful source of revenue. 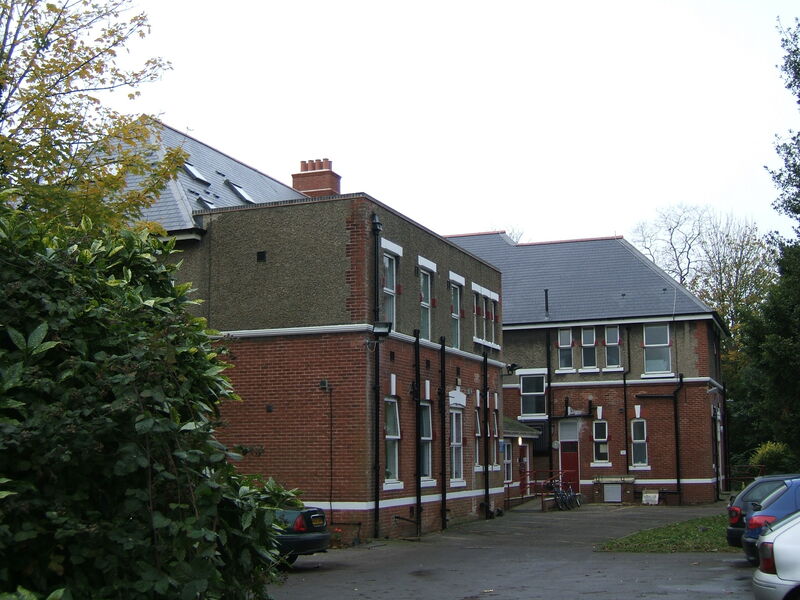 On 31st October 1908 four detached villas were opened. 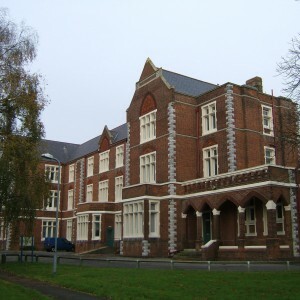 The architect Albert E. Cogswell was engaged, having already worked as apprentice under George Rake in the original development, and later formed his own practice. 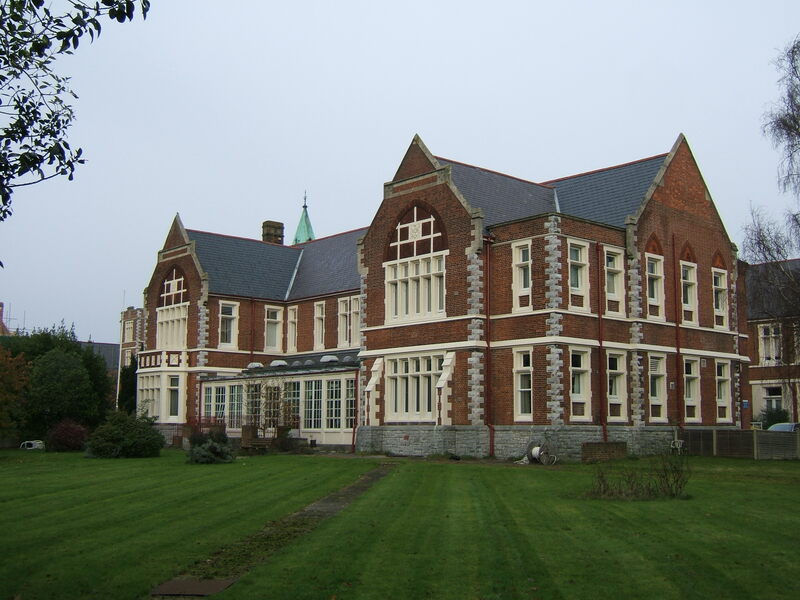 Cogswell, like Rake, was also a prolific local architect and his work on the villas consisted of two distinct types, one pair for working chronic inmates north of the sanatorium and a second pair to the south east of the main building for private, fee paying patients. 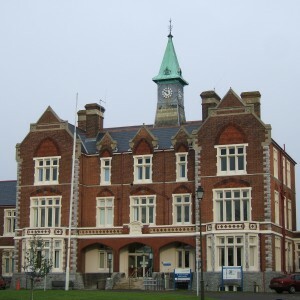 Each villa was identified by a name – the private villas after eminent Victorians with local connections, (Isambard Kingdom) Brunel and (Charles) Dickens, the working villas after local dignitaries associated with the asylum, (Sir William) King and (Mayor William) Pink. 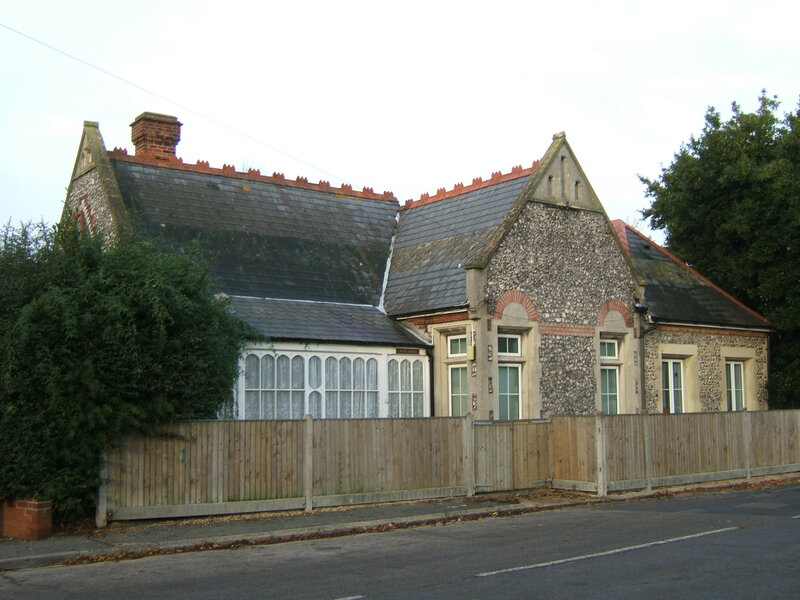 The exteriors of each type differed considerably, with much more decoration notable on the private villas in comparison with bare brick of those intended for paupers. 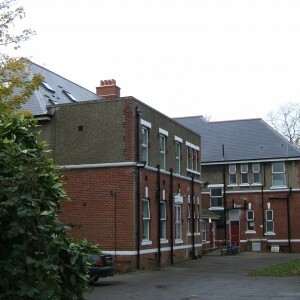 A second, larger, isolation hospital further east, enabled the original to be modified for those suffering from tuberculosis and two residences for senior staff were constructed on Locksway Road. 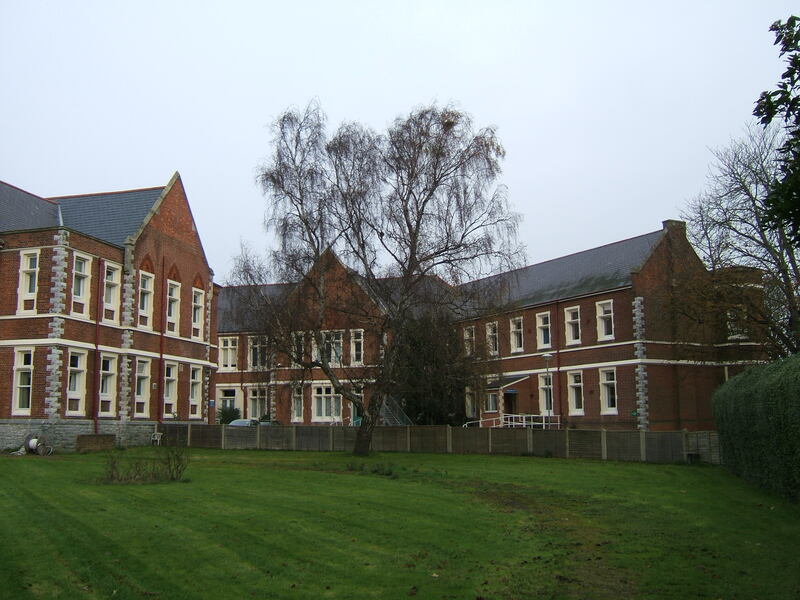 Initially the Milton asylum took in inmates displaced from Graylingwell at Chichester which was handed over for military use, but by 1917 Portsmouth’s strategic naval position made requisitioning a necessity. 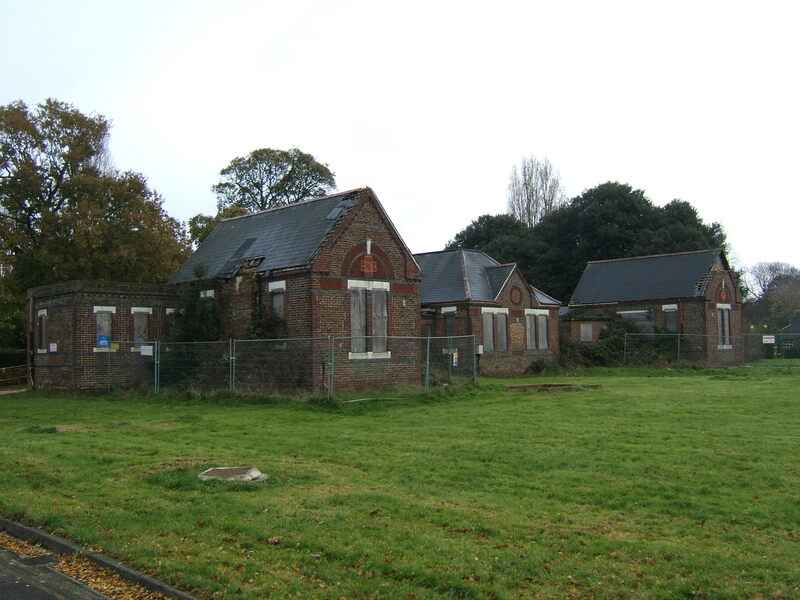 The population of the asylum was dispersed throughout the south and south-east and the remaining staff not already enlisted, remained with the military occupation. 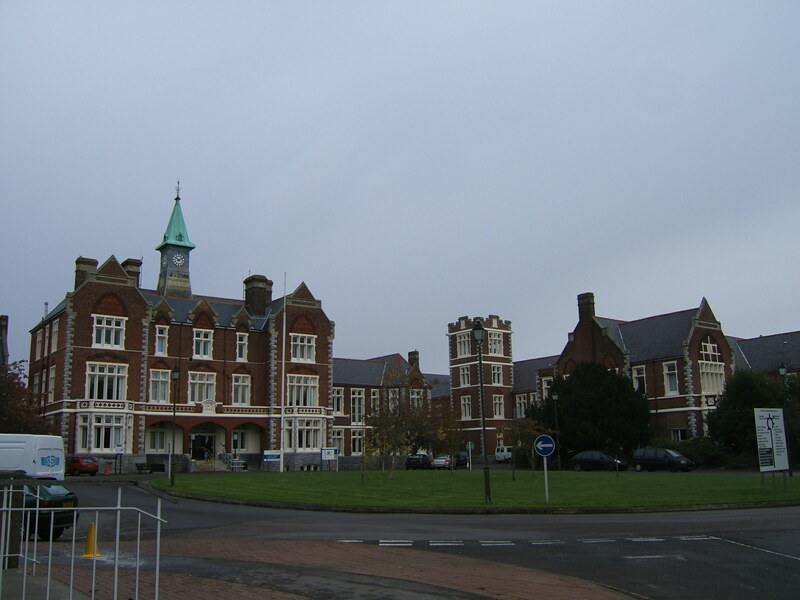 With the end of the hostilities the asylum returned to civilian use and in line with national trends was now termed ‘mental hospital’. 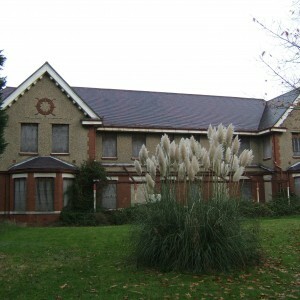 A new mortuary was added in 1921 and further development of villas took place, with the first opening 1929 and another pair added by 1932. 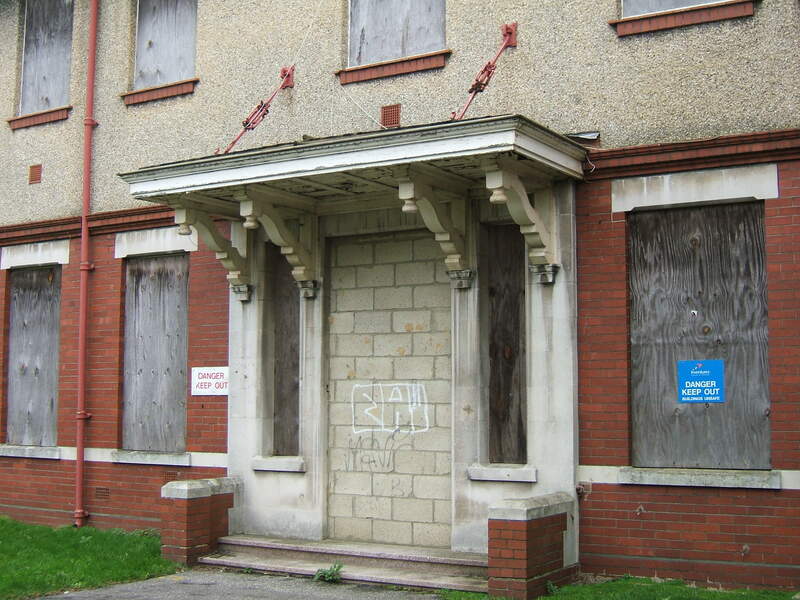 Once again these were for working patients and followed the same convention as those previous being named (Alderman) Light and (Alderman Walter) Gleave and (Superintendent Henry) Devine Villas. 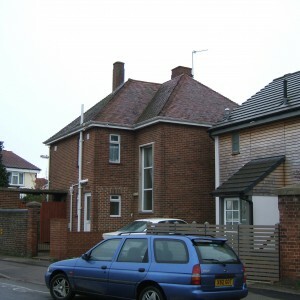 All were pebble dashed with brick dressings and slightly more decorative than the previous examples. 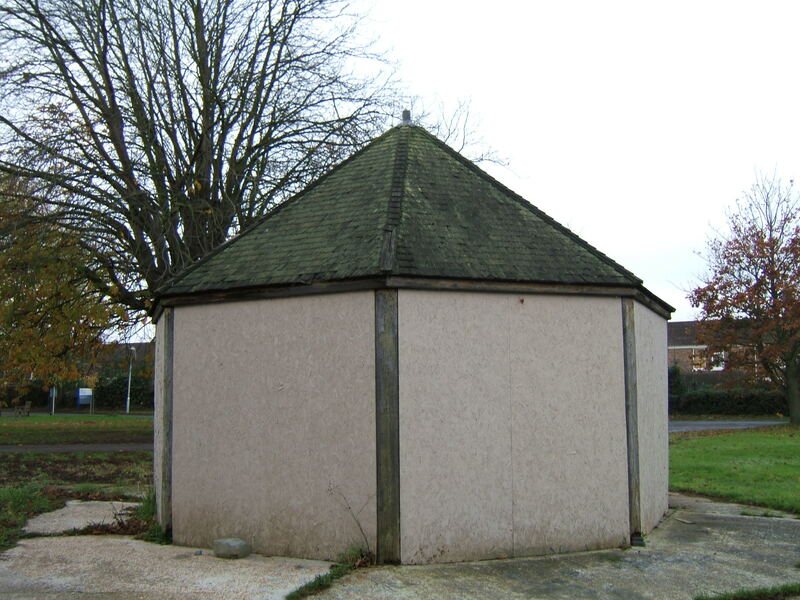 A complex of wooden huts was also added alongside Pink Villa to supplement workshop space, but would later provide a variety of functions including temporary accommodation and premises for a staff social club. 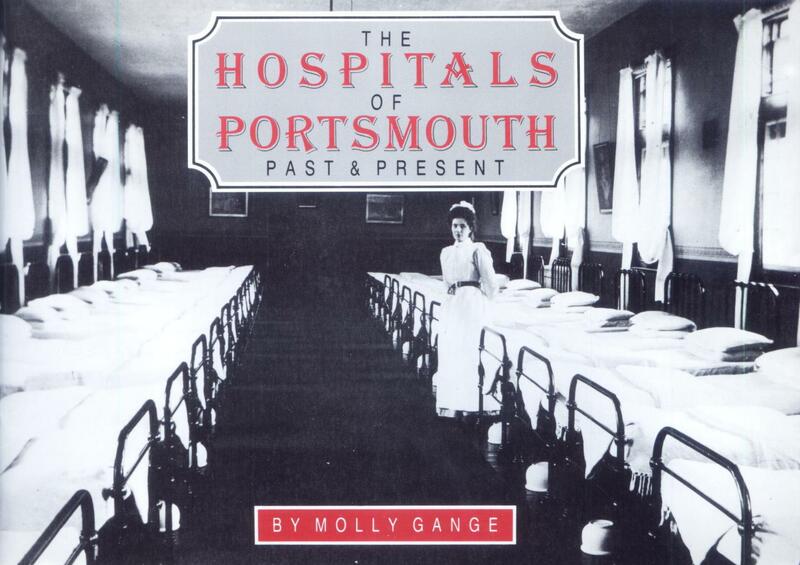 The Second World War once again saw the hospital population decanted as war use took over. 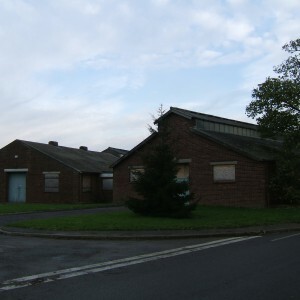 Initially the hospital formed part of the Emergency Medical Service programme enabling part of the site to be available for treatment of war casualties. 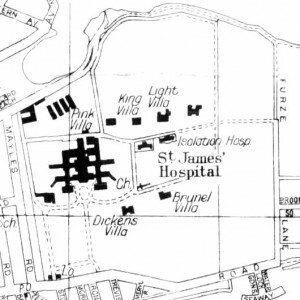 As hospitals within the city were destroyed by bombing, many facilities were transferred to Milton and the site acted as a General hospital until the end of the war when these services could be redistributed. 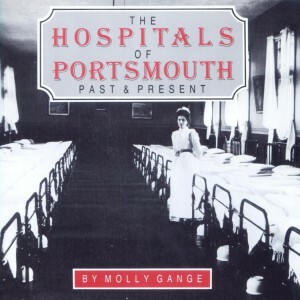 The post war period brought change. 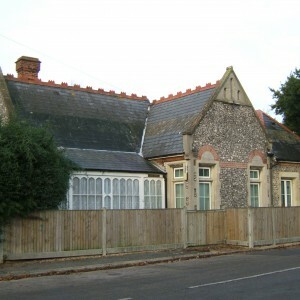 Following necessary austerity during the war much maintenance and modernisation was required. 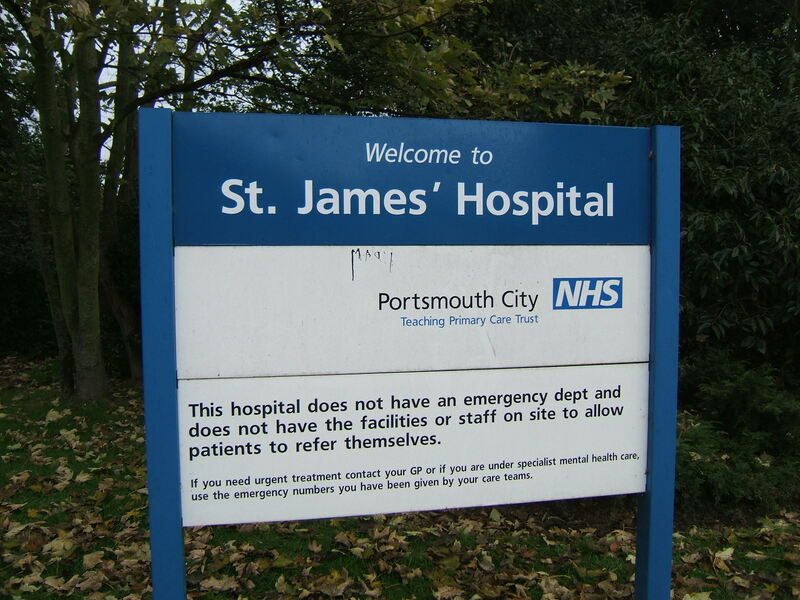 This coincided with further advances in psychiatric medicine and the creation of the National Health Service in 1948. 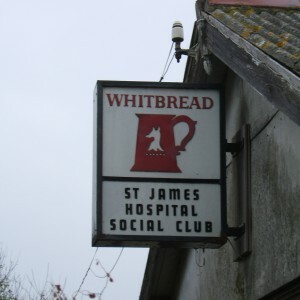 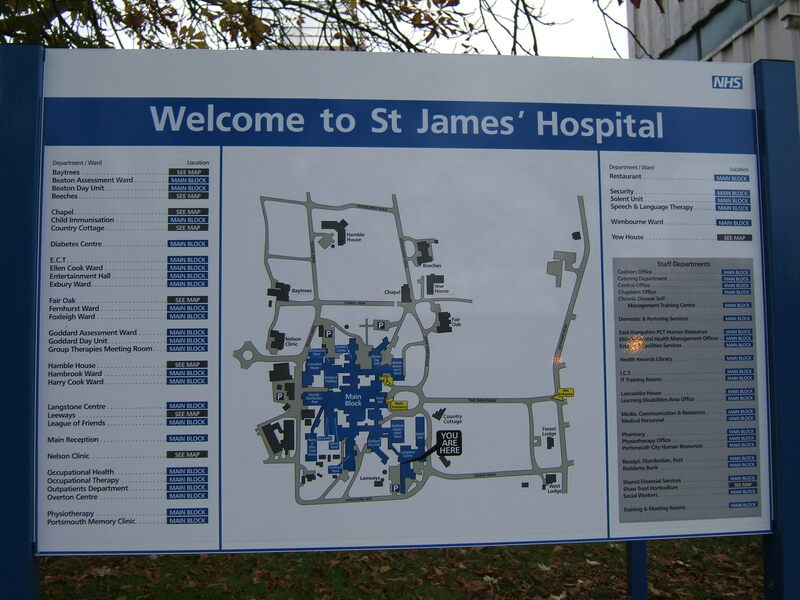 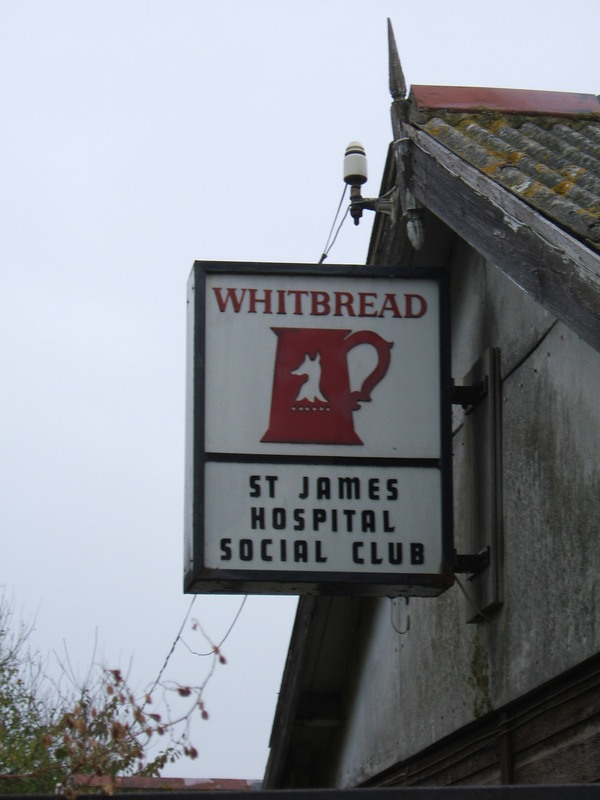 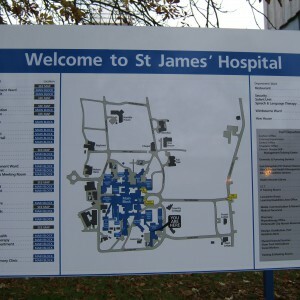 As with other local authority Institutions, inclusion within the NHS was mandatory and the site renamed St.James’ removing the indication of County Borough ownership. 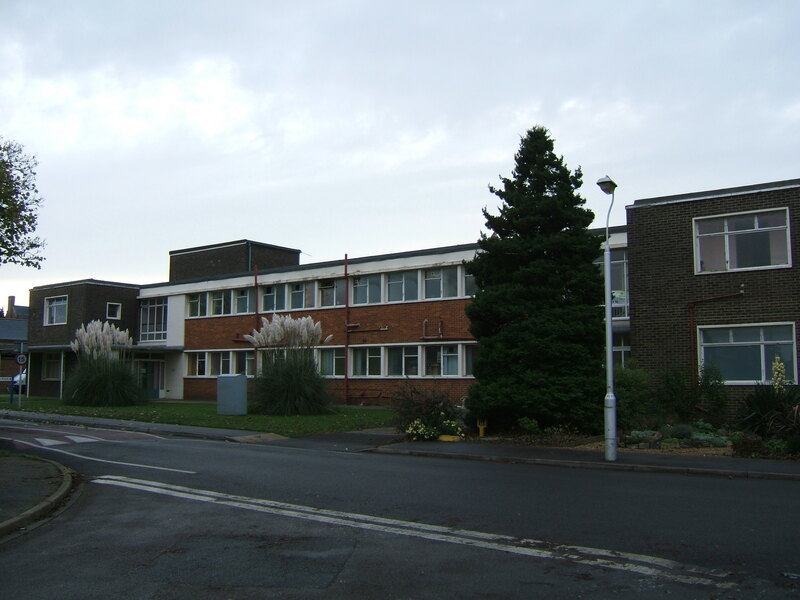 Modernisation work in the 1950’s and 60’s aimed to improve the image of the hospital as well as providing new facilities. 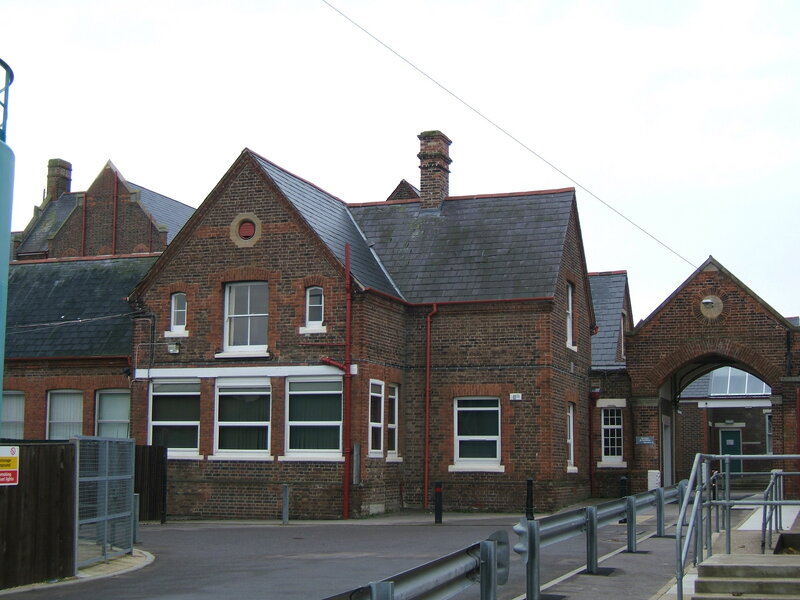 Airing courts were abolished, wards unlocked and the main entrance was modernised with the removal of the Victorian gates and pillars. 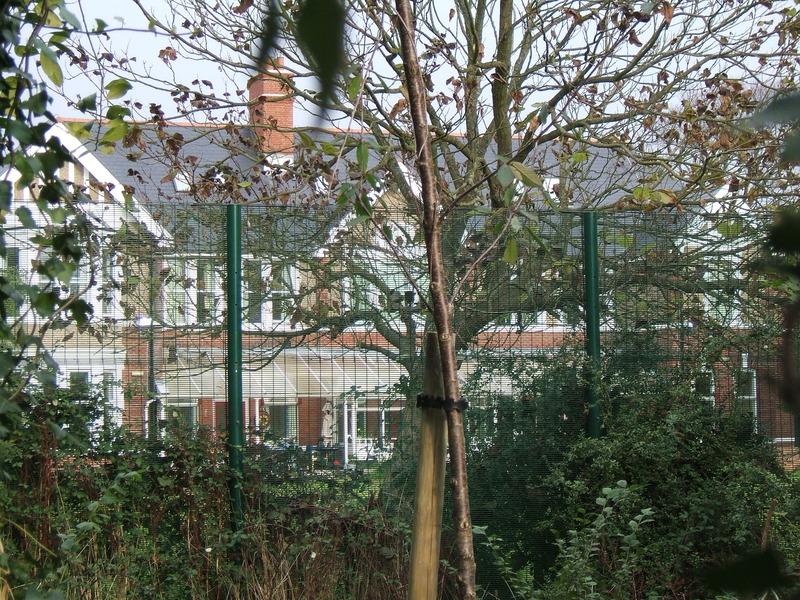 The farm was closed in line with national directives moving patient employment away from such areas. 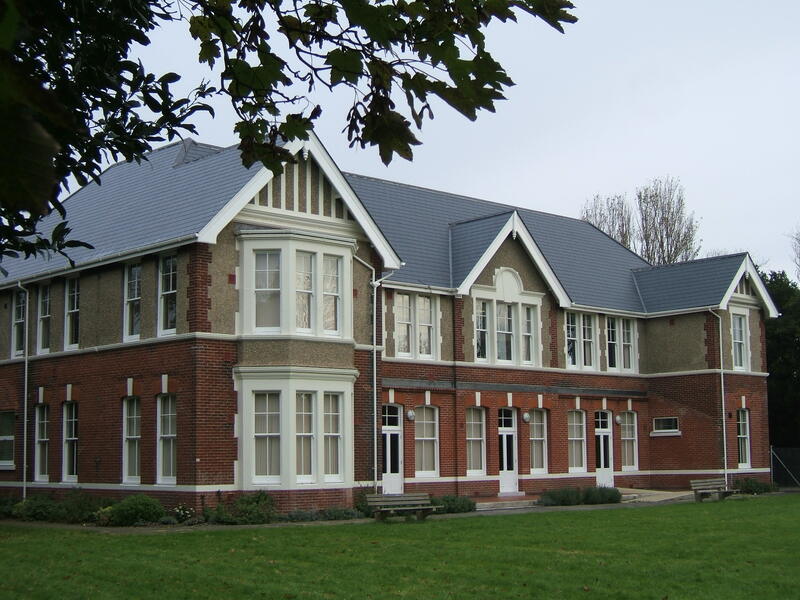 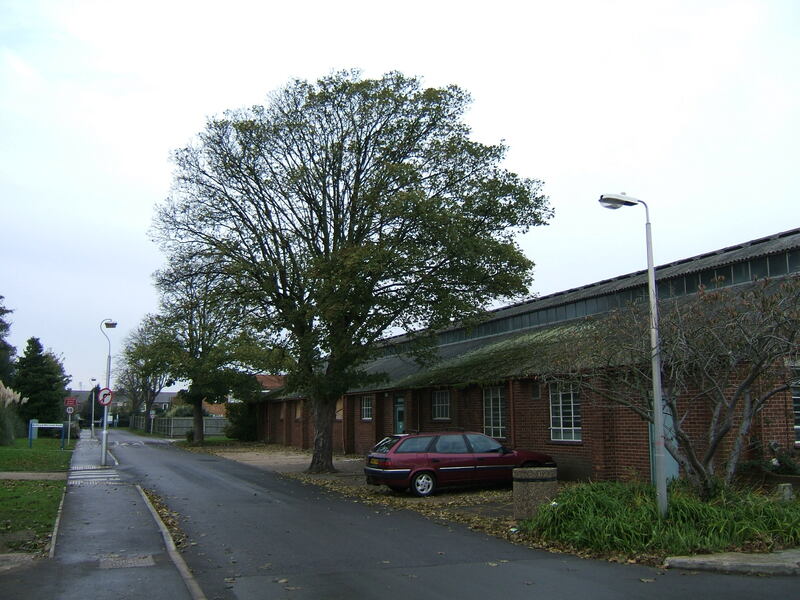 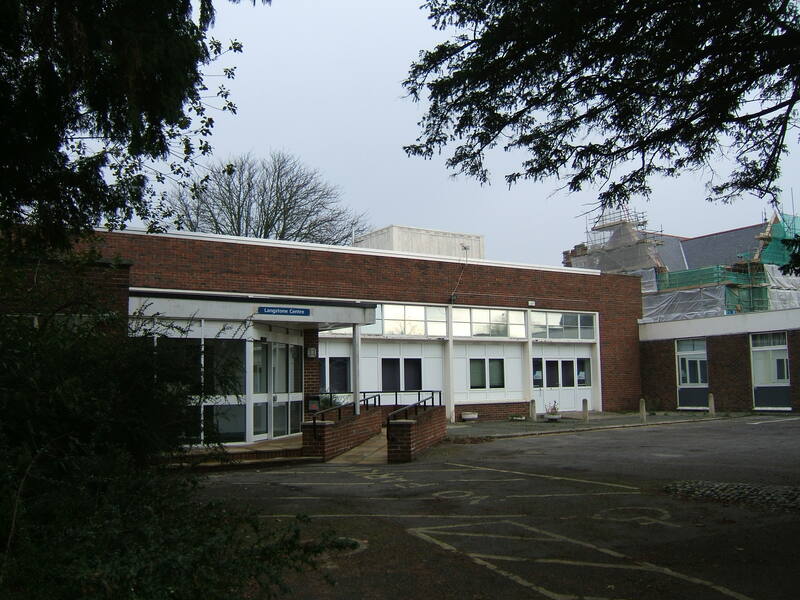 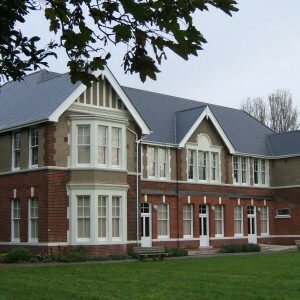 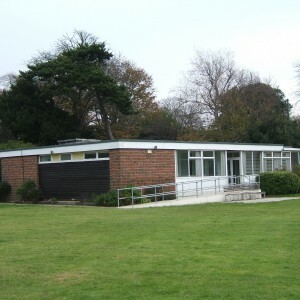 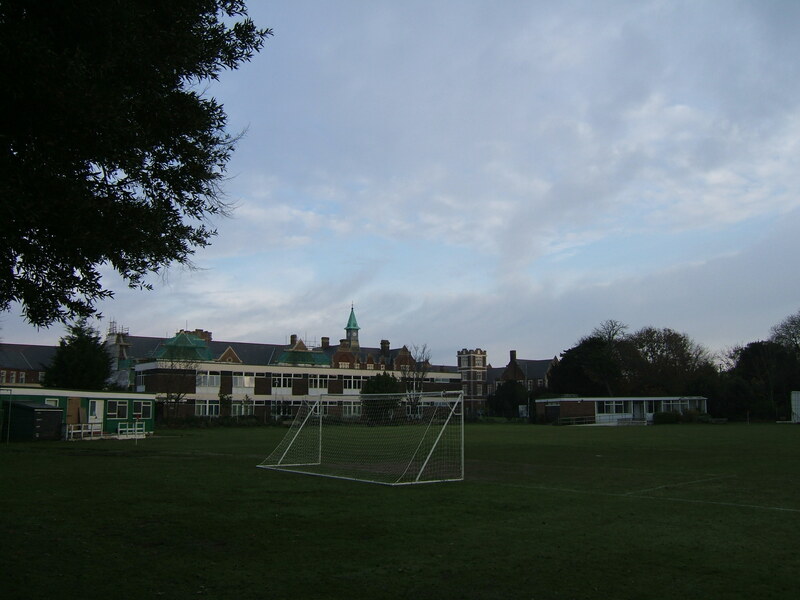 A new sports pavilion, patients social centre and the Solent Admissions unit were all constructed to the south-west of the main building, with an additional ward block, laundry complex and industrial therapy unit provided to the north. 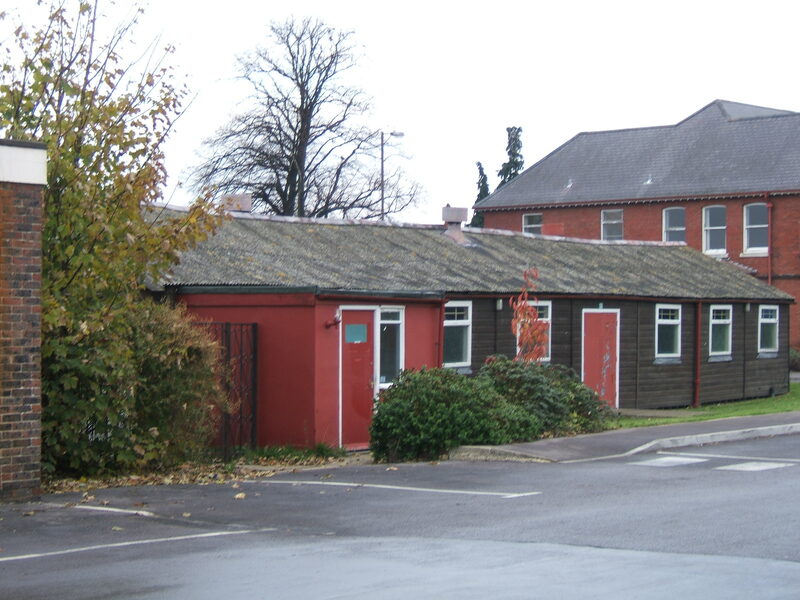 Part of the Pink Villa hut complex was adapted for the purposes of a therepeutic community, at that point a new and potentially revolutionary form of treatment and was later known variously as the Phoenix unit and Alpha house before being relocated. 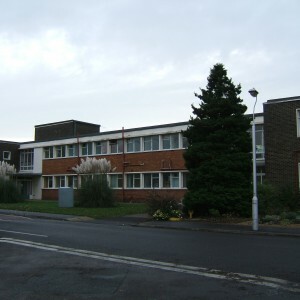 Milton Ford Special School for mentally handicapped children was constructed, but on isolated area of the site and with separate access from Lockway Road. 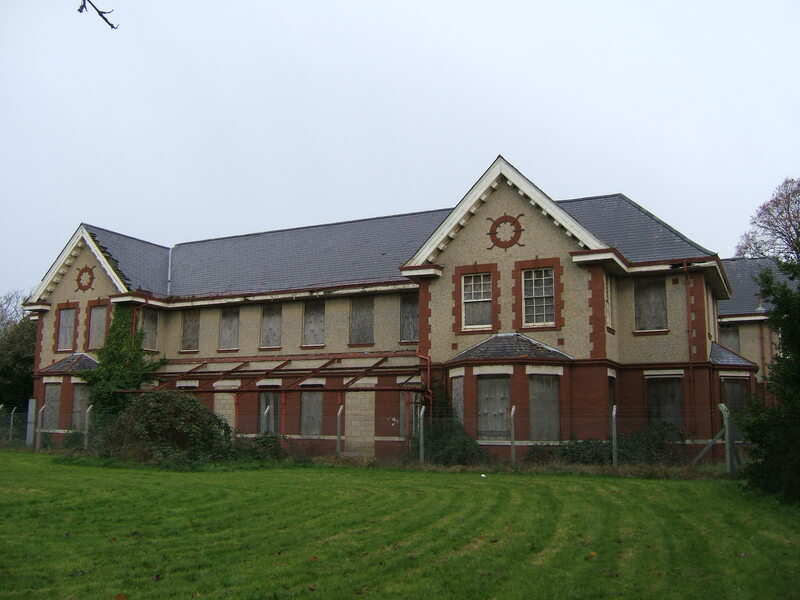 Despite these improvements and investment, the hospital became a target for eventual closure, as anticipated by Enoch Powell in the ‘Water Tower’ Speech, 1961. 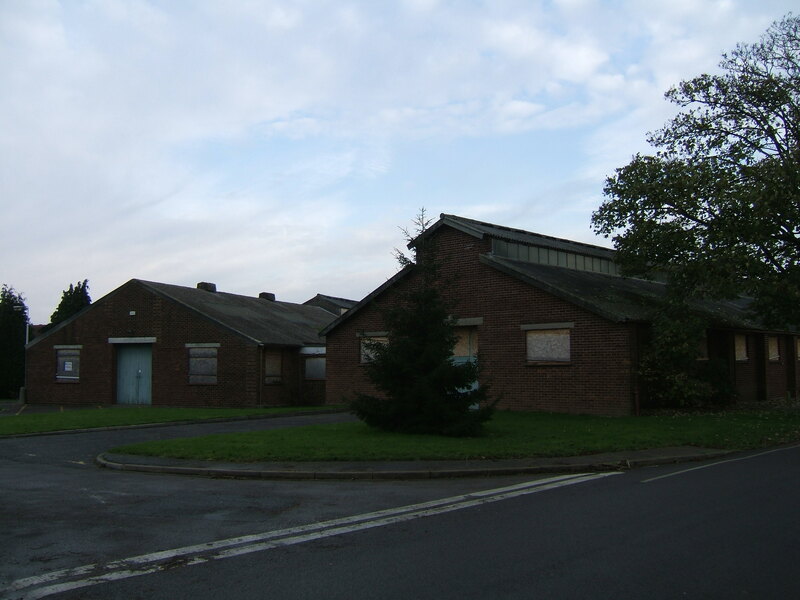 By the mid to late 1980’s in-patient services were being closed or relocated allowing some of the outlying villas to the east to be closed. 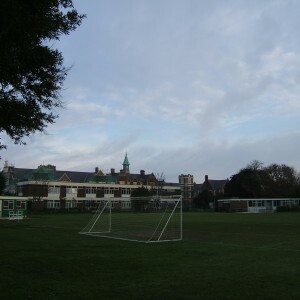 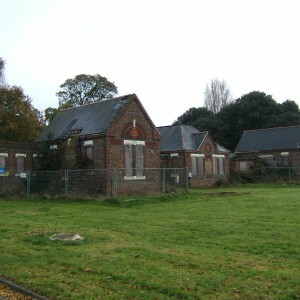 Despite this, the main building and grounds remained largely intact in mental health occupation as late as 2000, awaiting further reprovision of services. 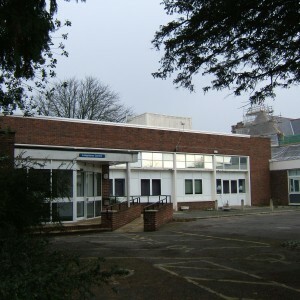 The process of closure of the main complex continues to date, and at the time of writing few in-patient services remain. 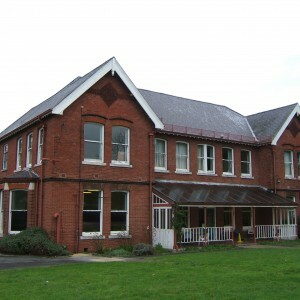 Much of the main building has been turned over for administrative premises, community based therapy, or out-patient purposes. 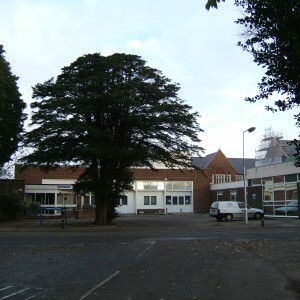 In line with this process, the hospital celebrated its last Christmas fair in the main hall, during November 2005. 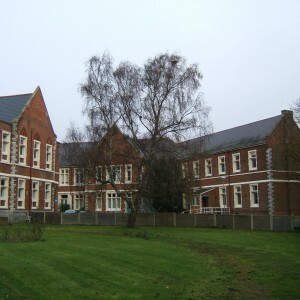 Despite the run down, much of the main building survives in good condition and has been subject to external restoration work. 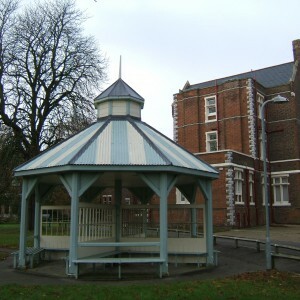 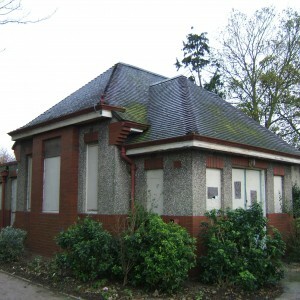 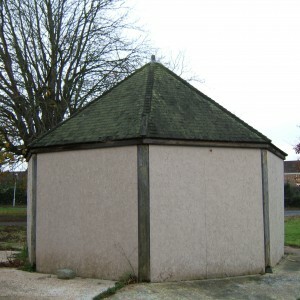 Two airing court shelters also survive in varying conditions. 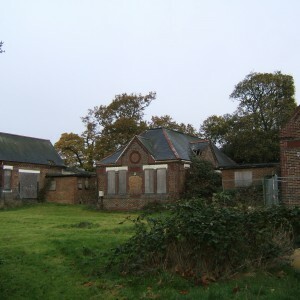 To the rear of the site much residential development has since taken place, almost reaching the rear of the main building and no traces of the farm exist other than the north lodge. Brunel and Dickens continue to provide in-patient and intensive care facilities respectively, albeit renamed. 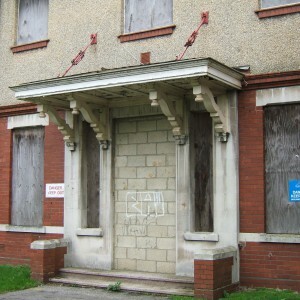 Pink and King Villas has been been recently vacated but remain in good condition. 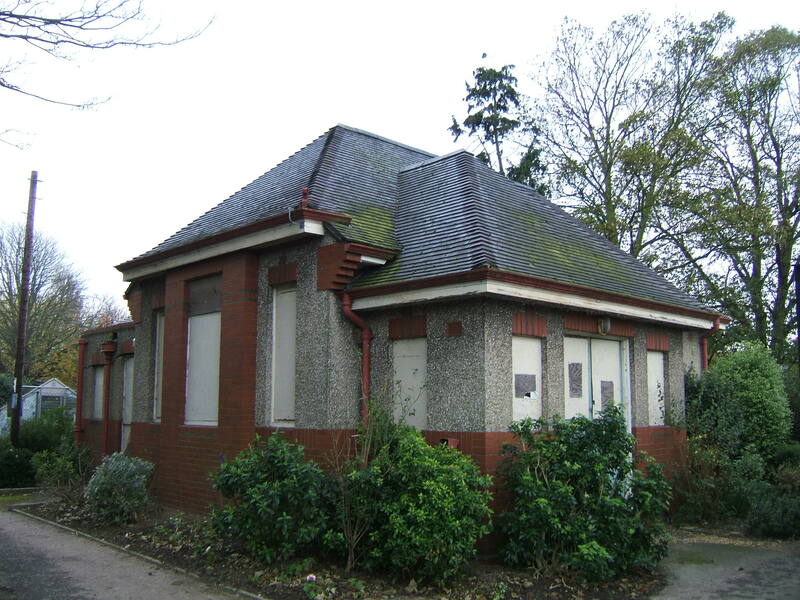 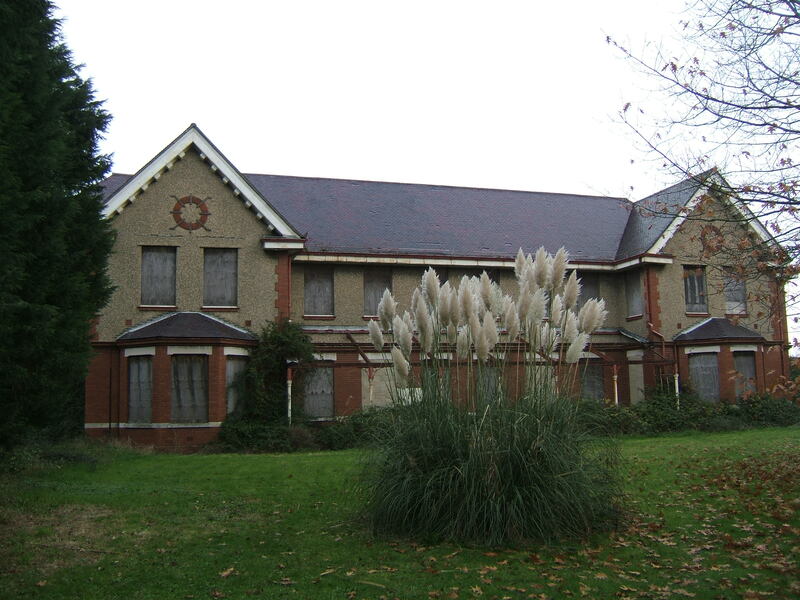 The sanatorium, Light Villa and Devine Villa have been disused for considerable periods of time and were recently demolished. 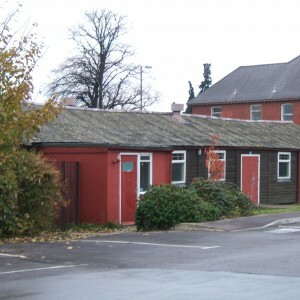 The new isolation hospital has been replaced by a modern structure and Gleave villa was demolished, having been gutted by fire in 1996 although the site is undeveloped. 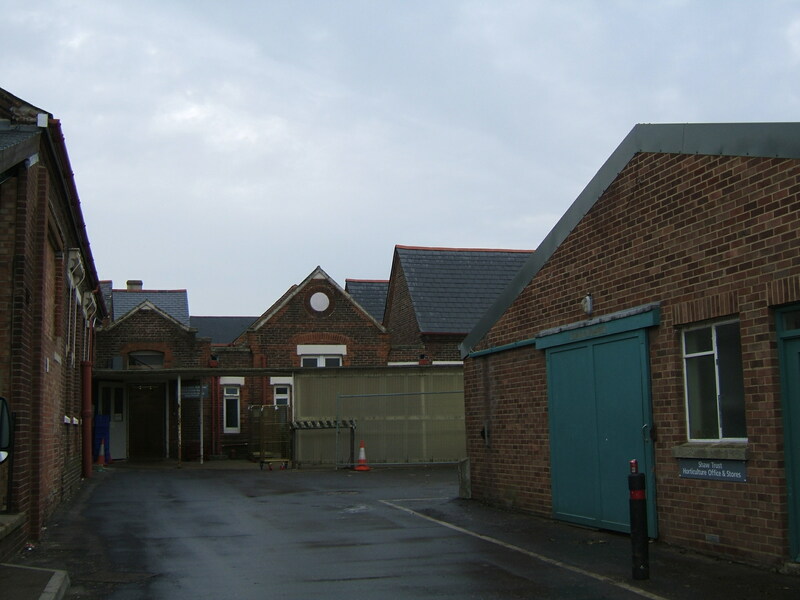 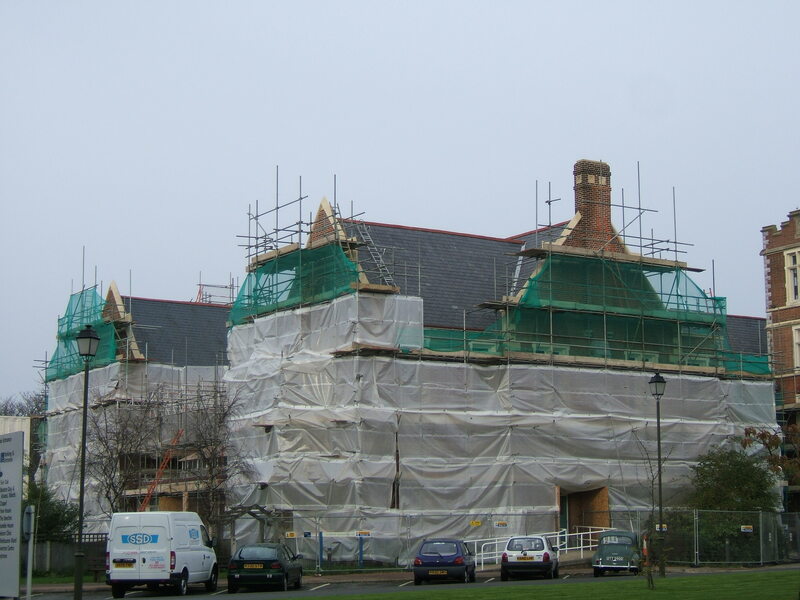 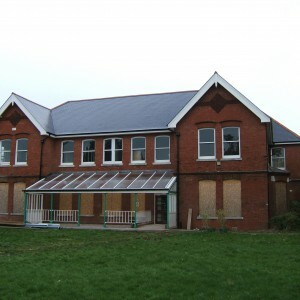 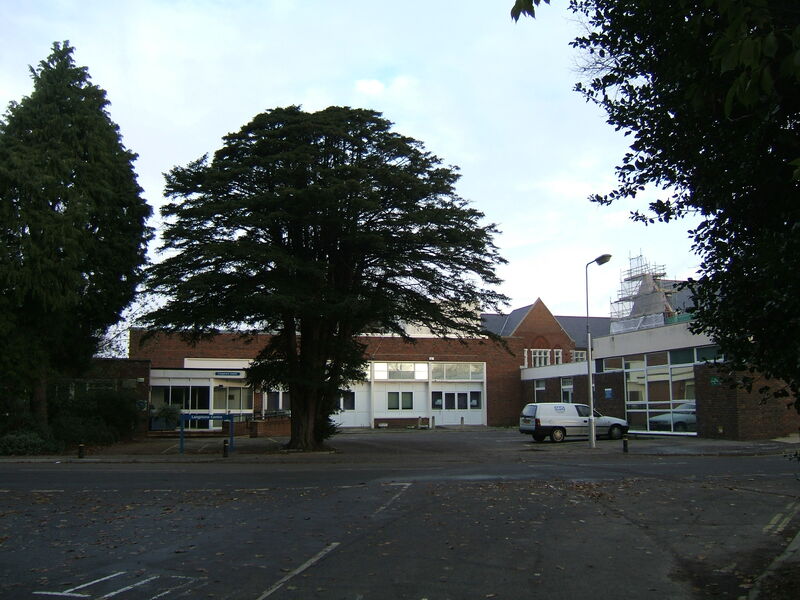 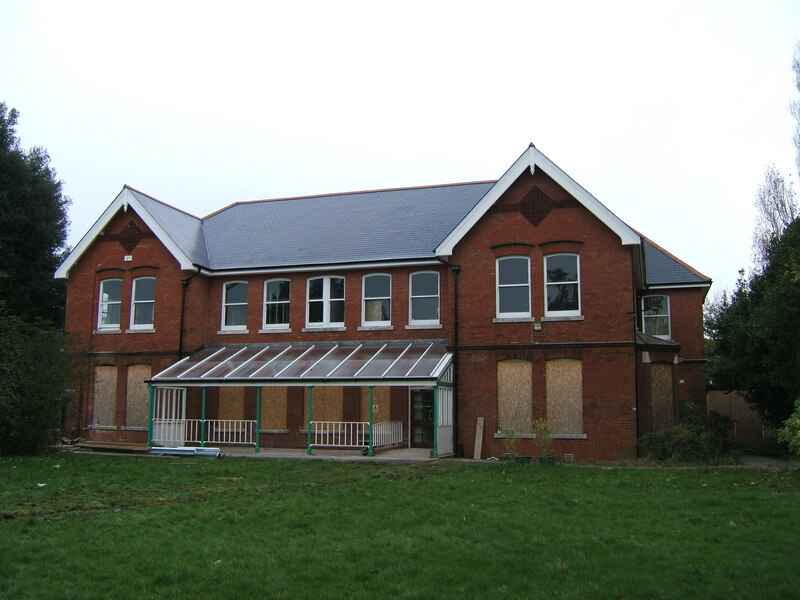 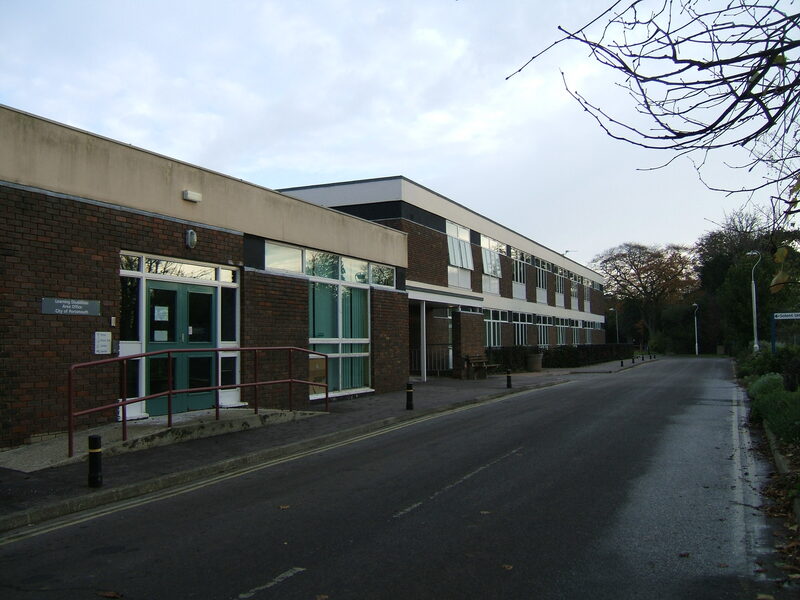 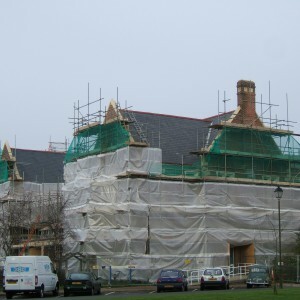 Further redevelopment for housing has taken place adjacent to Milton Ford School, further physically divorcing it from the remainder of the site and involving the demolition of the former officers residences at 113 -115 Locksway Road and an adjacent unit. 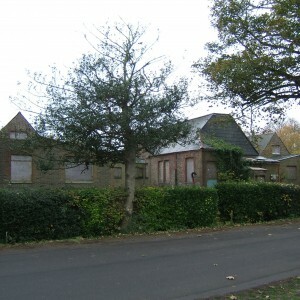 The main entrance and west lodge still remain, although direct access to the administration block has been provided by insertion of another gate further along Locksway road. 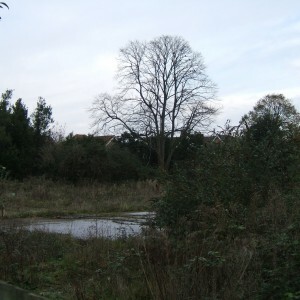 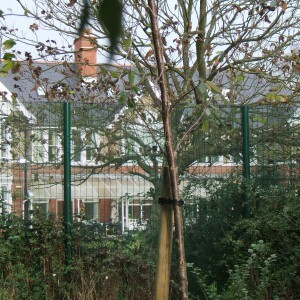 Proposals for the site following full closure are likely to be residential in nature in line with recent developments. 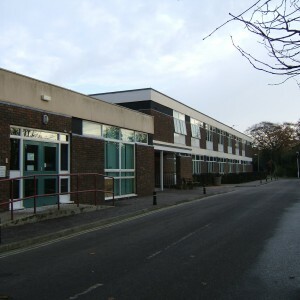 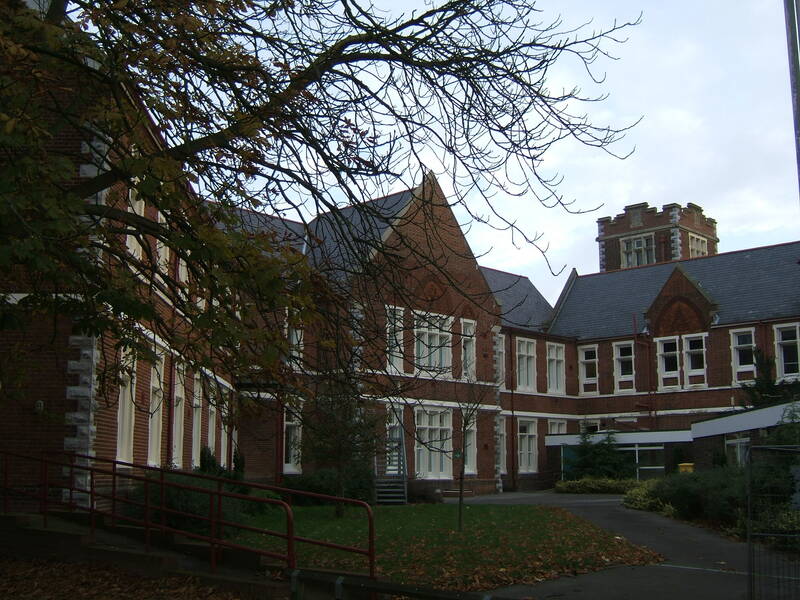 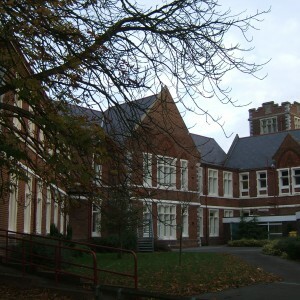 The main building currently has a statutory listing of Grade II and its retention will be likely as part of future redevelopment.